The historic Joint Comprehensive Plan of Action – the Iran deal – is done and it is a triumph of innovative and persistent diplomacy. Six world powers (the five permanent members of the United Nations Security Council plus Germany) came to an agreement with Iran that, at its core, has a simple-to-grasp quid pro quo: Iran guts its civil nuclear infrastructure in exchange for relief from sanctions that were put in place due to its nuclear activities. Everyone agrees that the deal is historic, but there remains considerable disagreement – outside of the governments that negotiated the deal – about whether this Iran deal is a good deal. Iran’s concessions under the deal were unsurprising for those analysts who’d been closely following negotiations between the two sides for over 20 months, from when the 2013 Joint Plan of Action, or “interim Iran deal,” was concluded. 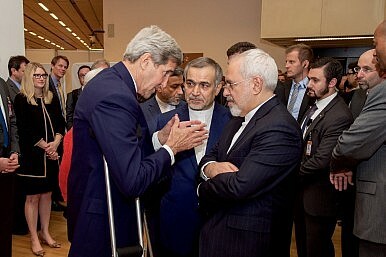 Most of what Iran conceded was announced in April 2015 in Lausanne, Switzerland, when diplomats revealed that they’d arrived at a framework for the final deal. As foreseen, Iran agreed to reduce its uranium stockpiles by 98 percent, keeping no more than 300 kilograms of low-enriched uranium (LEU), as oxide or gas, in its possession. It agreed further to an enrichment cap of 3.67 percent, far below the threshold for the highly enriched uranium (HEU) necessary for a nuclear bomb. Moreover, under the deal, Iran is permitted to enrich uranium exclusively using its first-generation IR-1 centrifuges. Centrifuge numbers – long a sticking point for negotiators and observers of the deal-making process – were finalized at 6,104 in the final agreement, down from a pre-deal peak of around 20,000. All enrichment activity will take place under the watchful eyes of International Atomic Energy Agency (IAEA) inspectors at the Natanz nuclear facility. The Fordow underground fuel enrichment plant, a point of concern for those who sought to destroy Iran’s nuclear program with a military strike, will host 1,044 IR-1 centrifuges for scientific research and development purposes. Read the rest of this article in the August Issue of The Diplomat Magazine, a monthly digital publication packed with exclusive articles and available for download in the Apple App Store,Google Play, or via Amazon.